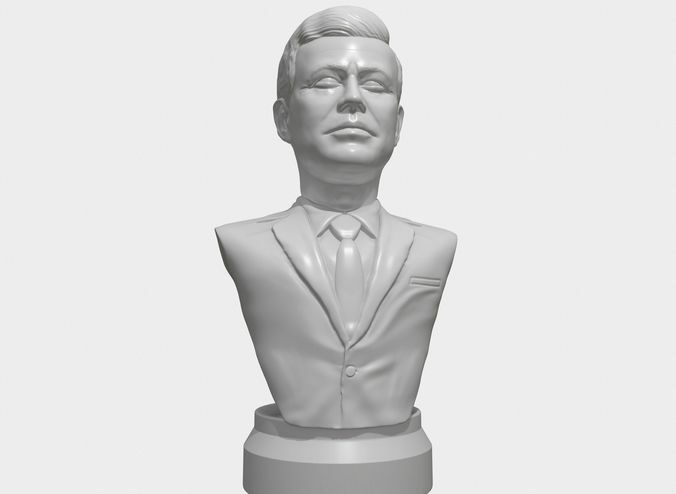 3D printable portrait bust sculpture of former US president John Fitzgerald Kennedy. Portrait is available in OBJ and STL formats. Height 100 mm. One stl file is with JFK solid, other is hollow with 0.8 mm shell. -Stl files solid and hollow. -OBJ file. Browse my profile to see rest of my work. If you want custom work, feel free to contact me.